This recipe is adapted from Mildred’s’ Detox salad. It is quite a sweet salad and I have found it to be popular. 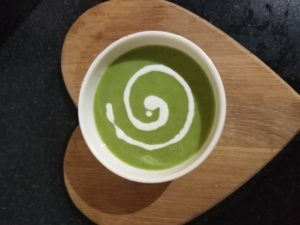 A quick, easy and very tasty soup. Adapted frm Yotam Ottolenghi’s Avocado, quinoa and broad bean salad.